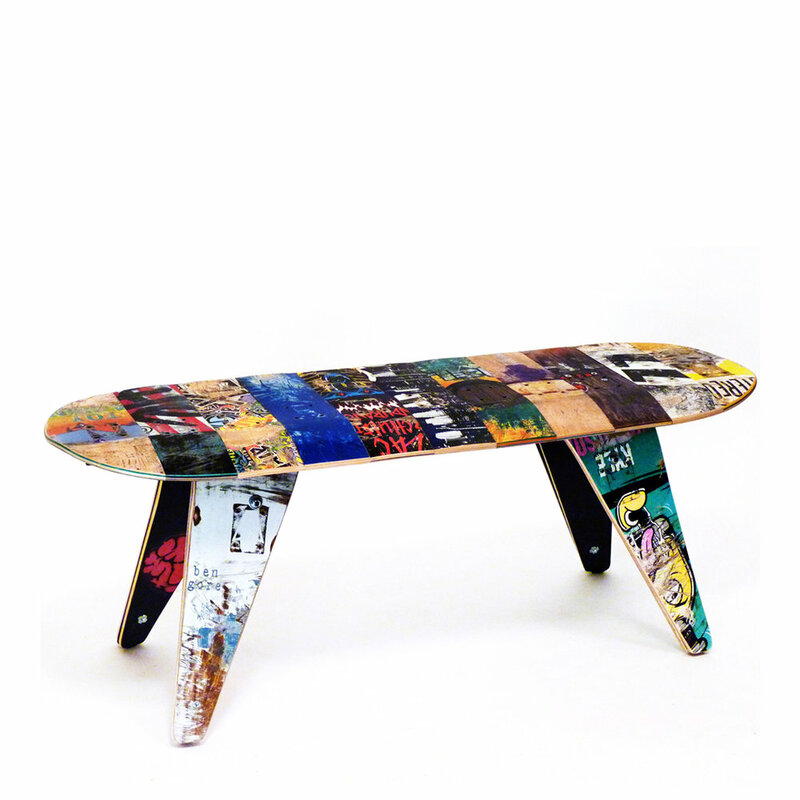 Heirloom quality furniture, solidly crafted using broken skateboards. 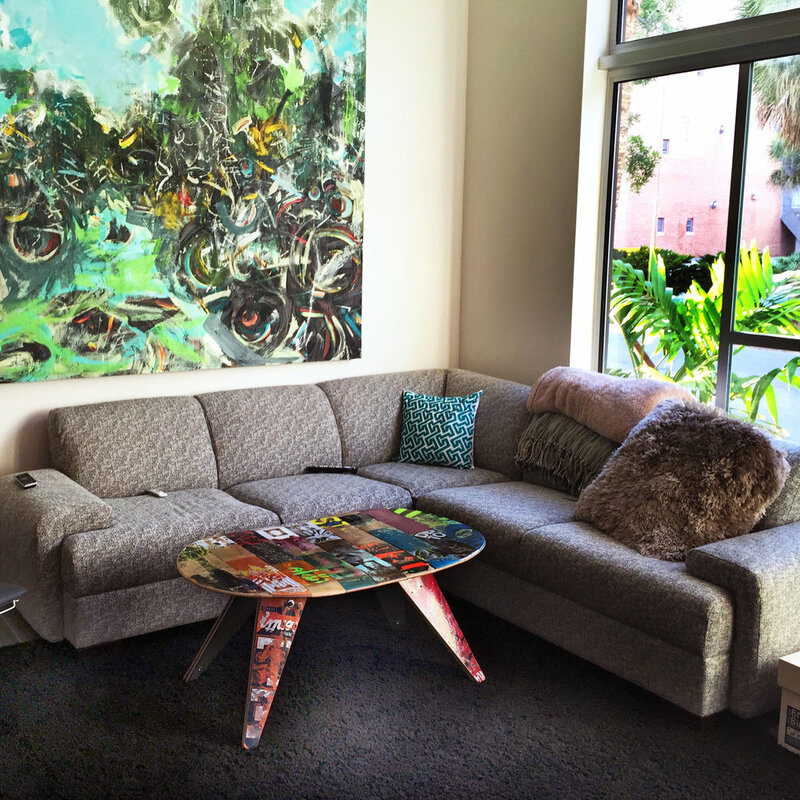 Every piece is one-of-a-kind. A broken skateboard is usually destined for the landfill. You can salvage this colorful and scarred wood waste in the form of our one-of-a-kind products. Modern woodworking techniques are used to create precision parts and skilled skateboarder craftsman finish and assemble the components with an artist’s touch. Superior workmanship, design, and quality is guaranteed. 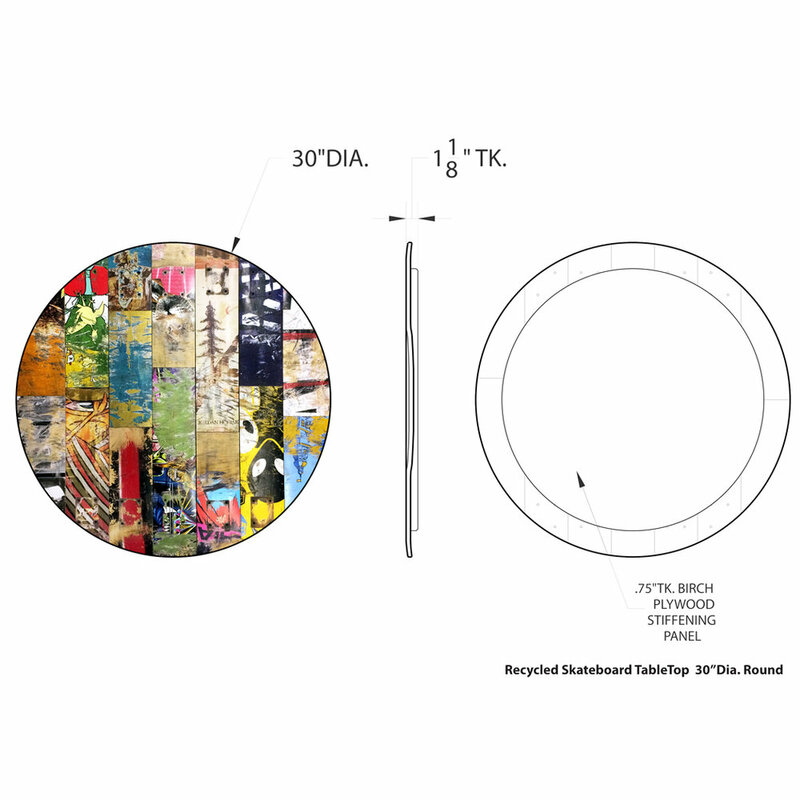 Please visit the Skate Or Design Shop to see detailed information on all recycled skateboard furniture and products. Got a better idea? 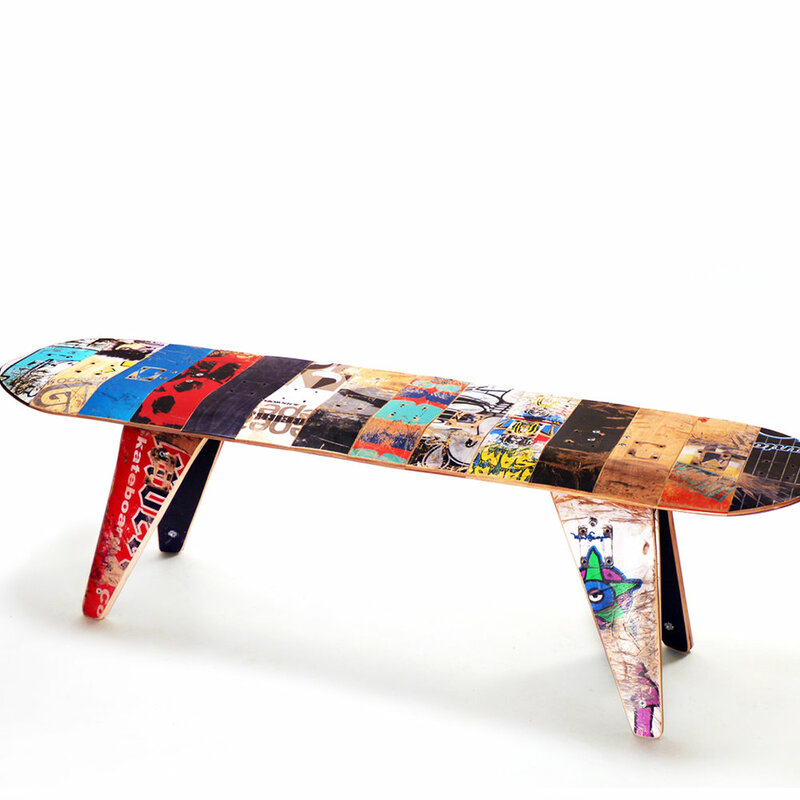 We can design and build almost any furniture/architectural item incorporating our recycled skateboard material. Furniture, store displays, exhibits, wall covering, surfaces, etc. Send us your custom requests, we will work out a stellar, build-able design and present you with design drawings and a quote. Additionally, we can modify our existing product designs and dimensions as you request. Our custom projects are constructed with the same love, attention to quality and guarantee as our production furniture. Please contact us to discuss your idea. 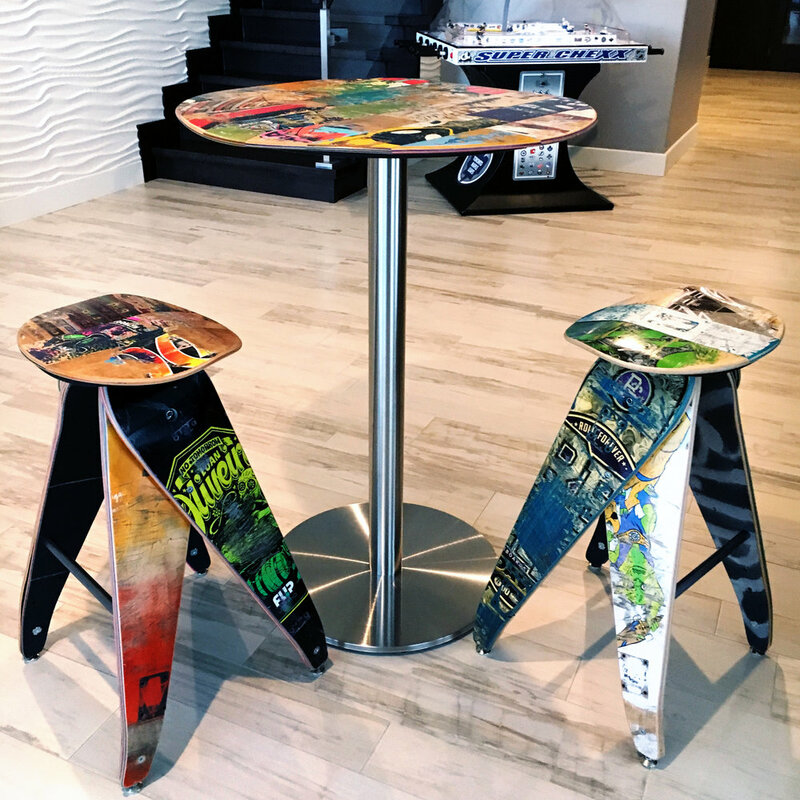 Want to see more Skate Or Design furniture at home & work?